There is an official published Earth Fare coupon policy. Be sure to sign up for the weekly emails for exclusive coupons. Download the app for your local Earth Fare deals and exclusive savings. The ad dates vary each month. Typically, they run for the entire month and the start and end dates will change each month. You can find the current ad information online at EarthFare.com. Also, be sure to print available store coupons online or pick up at your Earth Fare location. Typically, they will change quarterly. Earth Fare does not require the use of a loyalty card to get the sale prices. However, they do offer a rewards program called Tomato Bank. You can earn points for taking an action or Get List Foods at Earth Fare. You can redeem 100 points for $1.. You can sign up online or in-store. You will earn 100 points for just registering. Also, you will use your 10-digit number to get your points (typically a phone number). Earth Fare does not double manufacturing or their store coupons. Earth Fare does not accept other store coupons or Catalina coupons. You can use one vendor or store coupon per product. 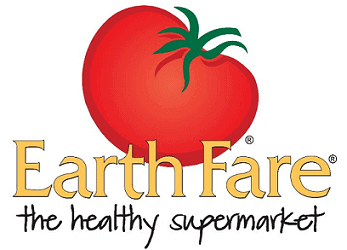 See the new Earth Fare coupon policy for complete details. If you are going to purchase a large volume of products, it is best to discuss with your store manager ahead of time. This will help to ensure the store stock is not depleted because of large quantities purchased. It also allows you to begin a relationship with the store manager for future occurrences. Earth Fare does accept IP coupons. As with any coupon, it must be used on the product as stated on the coupon, have a scannable bar code (or at least a visible number to punch in), have a valid expiration date and an easily readable mail-to redemption address. However, Earth Fare does not accept “Smart Source” coupons. Earth Fare does not allow for an overage on a product. However, they will adjust down the value of the coupon to cover the cost of the product. After using the $1 coupon, there is a $.20 credit. Overage is a YMMV. Earth Fare register will down-value the coupon so there will not be an overage. The product to manufacturer relationship is 1 to 1. You can use two manufacturer coupons on B1G1 FREE Sales. Since you are using two $1 coupons, that takes the $3.29 total for both down to $1.29 making your individual price $.65 (or $1.29). You can also use a B1G1 FREE coupon on a B1G1 FREE sale. The coupon cancels out the item you purchase, you will receive both items FREE! You cannot use eCoupons at Earth Fare at this time. You cannot stack eCoupons since they are not acceptable at this time. Earth Fare does not give credit for bringing in your bags. Contact your local store manager. Contact Earth Fare Customer Service or your Local Earth Fare location.